TOP Year 2022 . 11 Mins Walk to MRT . 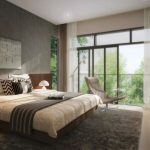 The Piermont Grand EC is the only new executive condominium that will launch for sale in 2019. 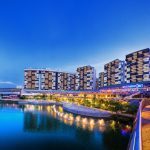 It is located at Sumang Walk in Punggol Waterfront Town, with direct frontage onto the Punggol Waterway and views towards Punggol Reservoir. 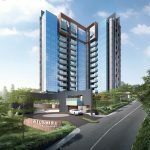 This new Piermont Grand Sumang EC is being developed by CDL Constellation (unit of City Developments Limited) and its sister company TID Residential. CDL intends to maximise the full potential of the site. They will take this opportunity to create a landmark waterfront residence at Piermont Grand EC, with views of the waterway and reservoir. 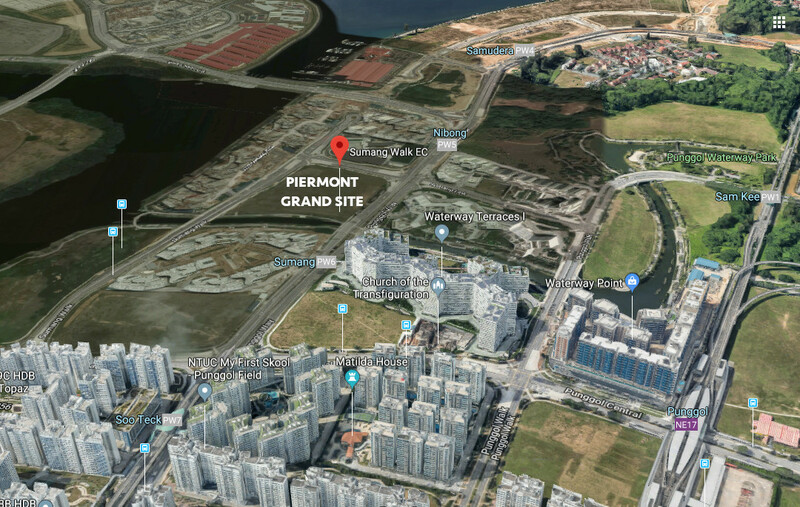 The Piermont Grand executive condominium will be attractive not only for its waterfront lifestyle, but also because of its convenient position in Punggol. 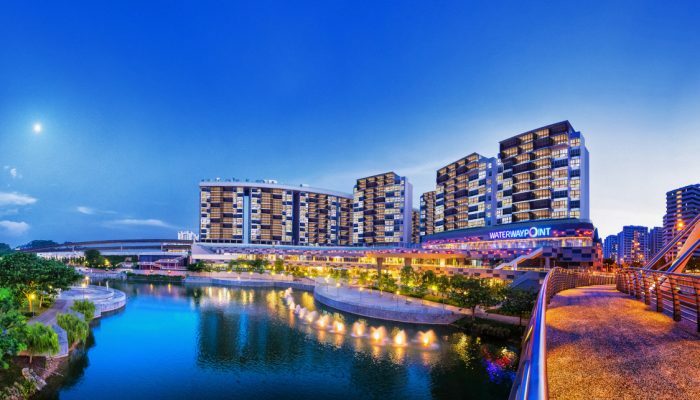 It is within walking distance of Waterway Point, the biggest shopping mall in the north-east corner of Singapore. A pleasant 8 minute stroll via the park connector by the waterway will take you there. As for Punggol MRT station, it is a further one minute walk, accessible through Waterway Point. In inclement weather, you can hop onto the LRT train at Sumang station, a short walk from the side gate. This station is one stop from Punggol MRT station and the mall. This Sumang Walk EC, Piermont Grand, will be CDL’s 9th executive condominium project in its extensive property development portfolio. From its depths of experience and expertise, CDL is confident of achieving a successful product here. Especially given its good location, proximity to LRT and MRT stations, and above all, the rather rare chance of creating a waterfront lifestyle EC residence. 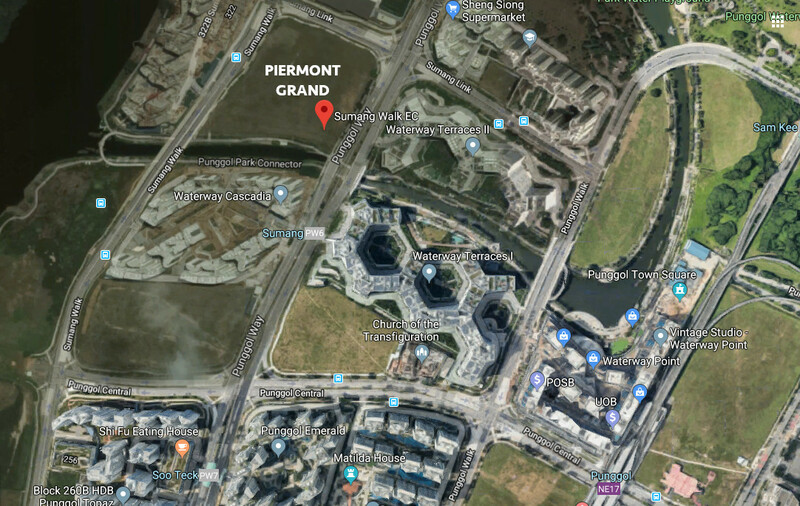 In addition to all that, the Piermont Grand EC sits on the doorstep of the Punggol Digital District. 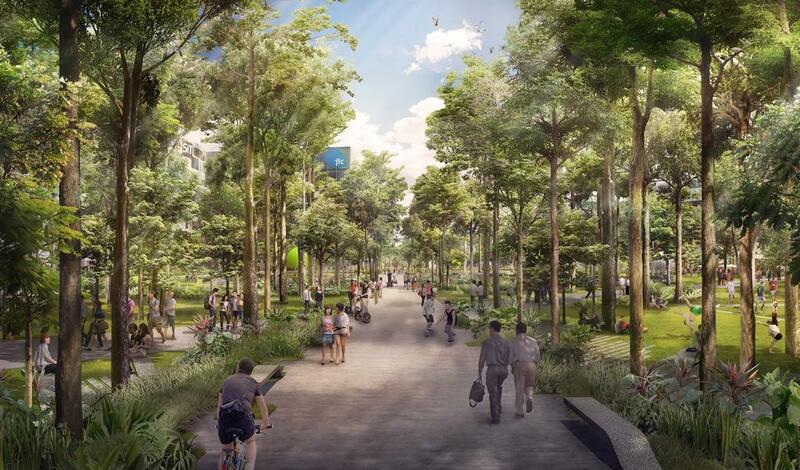 With fresh details unveiled in the latest URA master plan, exciting times are ahead for this corner of Singapore. As Singapore’s first Enterprise zone, the Punggol Digital District will lead the way in our island’s Smart Nation push. It is envisaged to be an inclusive environment where social innovation and cutting-edge technology will transform the way we live, learn, and play. The PPD will be the first district to adopt an integrated masterplan approach that brings together university and community with a business park. Such an integrated approach will enable close interaction and synergies between academia and industry, while cultivating a vibrant community. Hence the Punggol Digital District will cluster growth areas of the digital economy, such as digital technology and cyber security, and foster an ecosystem of open innovation. It is projected to create about 28,000 new jobs, bringing employment opportunities close to residents of Punggol and Piermont Grand CDL. For a start, the SIT (Singapore Institute of Technology’s) new campus is being co-located here alongside JTC’s business park buildings. This will promote greater academia industry ties, and collaboration on new ideas and technologies to boost the chances of commercial success. The design of the PDD will also provide a green and inclusive environment for the community at large. It will offer residents additional dining, retail & leisure spots, as well as childcare facilities, a community centre, and public spaces and parks. The tagline for the Punggol Digital District is, “The Future is Yours to Create“. It might well prove to be that of Piermont Grand too. Against a backdrop of a shortage of executive condominium land supply, the site for this Sumang Walk EC attracted a total of 17 bids by the time its tender closed on 30th January 2018. HDB awarded the site on 7 March 2018 to a joint venture of City Developments (“CDL”) and TID Residential (“TIDR”) who had placed the winning bid in the face of stiff competition. Their top bid of SGD$509.37 million worked out to $583 PSF PPR (per square feet per plot ratio), just 4% higher than that of the 2nd placed bidder. The keen competition and close fight can be attributed to existing EC stock selling out, the lack of new EC land supply, and possibly the favourable site factors. The Piermont Grand EC showflat is not open for viewing yet. Do drop your contact details via the Form below if you wish to be kept informed on the showflat opening schedule, and e-application and balloting timelines. Note that to apply for a unit and take part in the balloting and booking exercise, you have to do an e-application in advance. This e-Application can only be keyed into the computers at the Piermont Grand showflat, not online. The Piermont Grand EC floor plans are not ready yet, pending approval. Please drop us your contact details through the Form below if you wish for the Piermont Grand floor plans to be emailed to you once available. The Piermont Grand EC site is a notched roughly kite-shaped parcel of land oriented in a north-north-east / south-south-west direction. To its south, it fronts directly onto My Waterway @ Punggol. On its other three sides, it borders Punggol Way on its east, Sumang Link to its north, and Sumang Walk on its west. Hence units fronting Punggol Waterway should be able to get unblocked views of water, though it is little more than a stream. 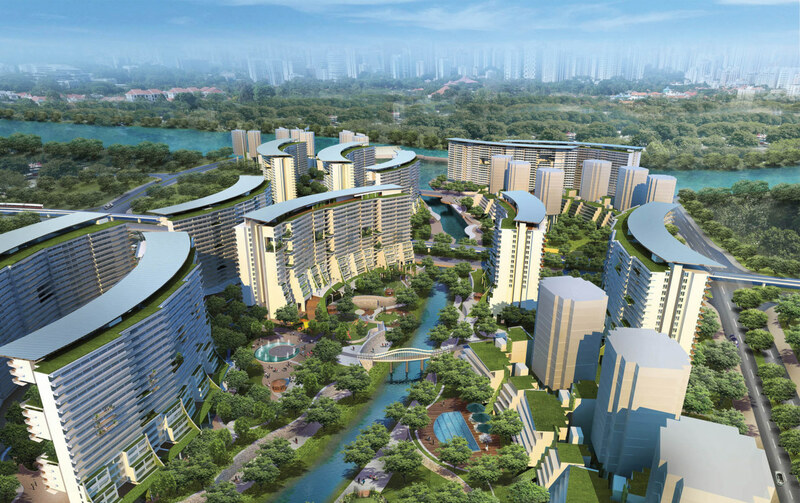 But units facing west will get glimpses of a larger body of water, the Punggol Reservoir, in between the HDB blocks of Punggol Bayview across Sumang Walk. The north of the site is pretty open too, overlooking the low-rise Punggol Cove Primary School. This Sumang EC will incorporate SMART home living as well, which seem to be pretty much the norm nowadays. Residents can then control their living environment and appliances remotely, as well as handle online booking for facilities and services. The Piermont Grand EC pricing has not been determined yet. Do drop us your contact details via the Contact Form below if you wish to be kept notified on the indicative pricing once available. For executive condominiums, exact prices of will be finalised and provided about 2 days before the launch balloting and booking day. The Piermont Grand site covers an area of 291,235 sq ft. Under the URA Master Plan, it is zoned with a plot ratio of 3. This works out to a maximum permissible built-in floor area of 873,705 sq ft.
Based on the $509,370,000 paid by CDL and TIDR for this land parcel, it translates to a land rate of $583 PSF PPR (per square foot per plot ratio). 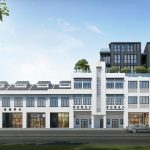 The break even cost to the developer is estimated to be around $1,080 PSF PPR, after factoring in the construction and development costs, together with the financing, overhead, and marketing charges. The final selling price could hence be in the region above $1,100 PSF. 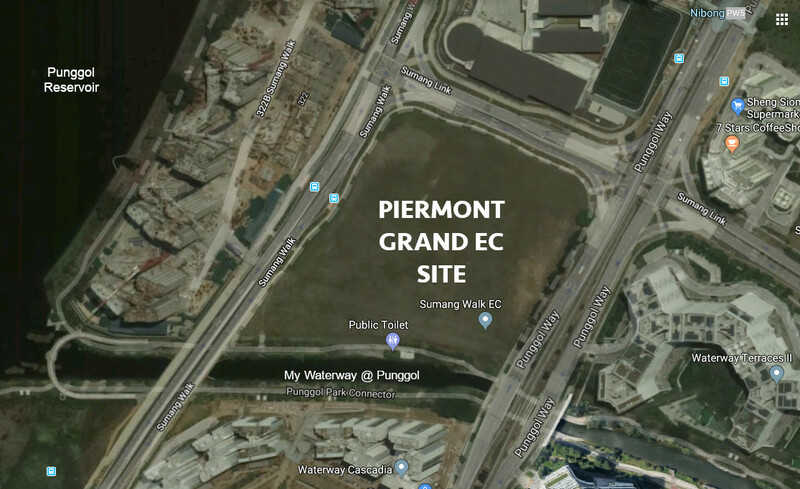 Piermont Grand EC is being developed by Singapore-listed property giant City Developments Limited, and joint venture partner TID Pte Ltd. Both belong to the Hong Leong Group, with a long track record of developments behind them and a name almost synonymous with quality. City Developments scarcely needs an introduction. Listed on the SGX, the Group is one of Singapore’s largest companies by market capitalisation. It has been at the forefront of the local real estate scene since its inception in 1963. Today CDL is a leading international property & hotel conglomerate spanning 103 locations across 29 countries. Its geographically-diversified portfolio comprises over 18 million square feet of lettable space in residences, serviced apartments, integrated developments, hotels, offices, and shopping malls. Globally the Group spans a network of more than 300 associated companies & subsidiaries. Seven of these are listed on notable stock exchanges in London, New Zealand, Hong Kong, and the Philippines. CDL is basically involved in real estate investment and development, hotel management and ownership, facilities management, and hospitality solutions. With more than 55 years in property development under its belt, CDL has a remarkable record of having built more than 43,000 homes across a diversity of market segments. Among them are local projects like The Sail @ Marina Bay, Echelon, Cliveden at Grange, South Beach Residences, Boulevard 88, New Futura @ Leonie Hill, Golden Hill Villas and Goldenhill Park, Nouvel 18, One Shenton, 368 Thomson, Gramercy Park, Coco Palms, and Amber Park. CDL has plenty of executive condominium experience too. They have built and sold out ones like Brownstone, Blossom Residences, The Rainforest, The Criterion, and Lush Acres. For more information on City Developments, see www.cdl.com.sg (opens in new window). 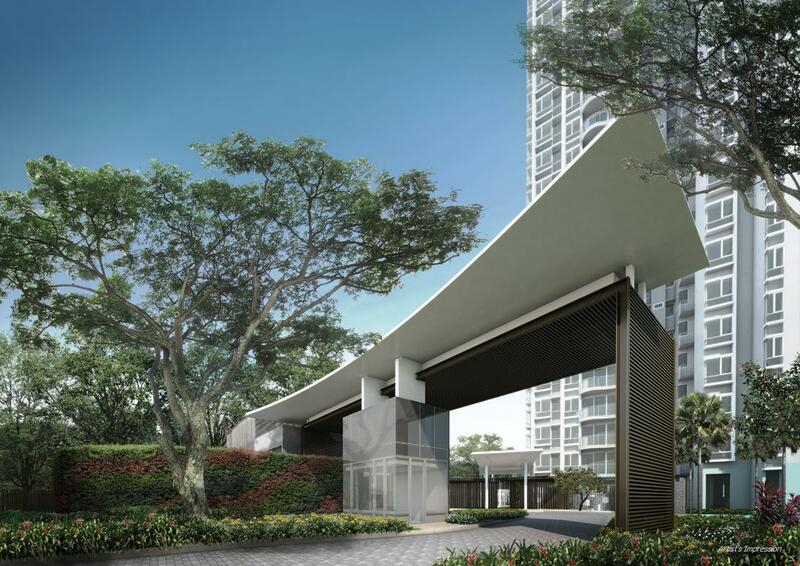 TID Residential is a wholly-owned subsidiary of TID Pte Ltd, which in turn is a joint venture between Hong Leong Group and Mitsui Fudosan Co Ltd, Japan’s largest private developer. With a 35-year track record in Singapore, TID can draw upon a deep well of expertise and experience. 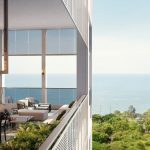 In that time, it has set benchmarks in Singapore’s residential landscape with developments such as The Trevose, Parc Emily and Goodwood Gardens. 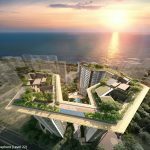 And together with CDL, TID has developed numerous other projects such as the exclusive The Oceanfront at Sentosa Cove, MeyeRise at Meyer Road, Scala, Bartley Ridge, Forest Woods, and The St. Regis Singapore Hotel & Residences. St Regis Hotel won the 2009 “FIABCI Prix d’Excellence” award in the hotel category. TID is no stranger to executive condominiums either. It has partnered CDL to deliver ones like The Rainforest, The Criterion, and Brownstone. Location. 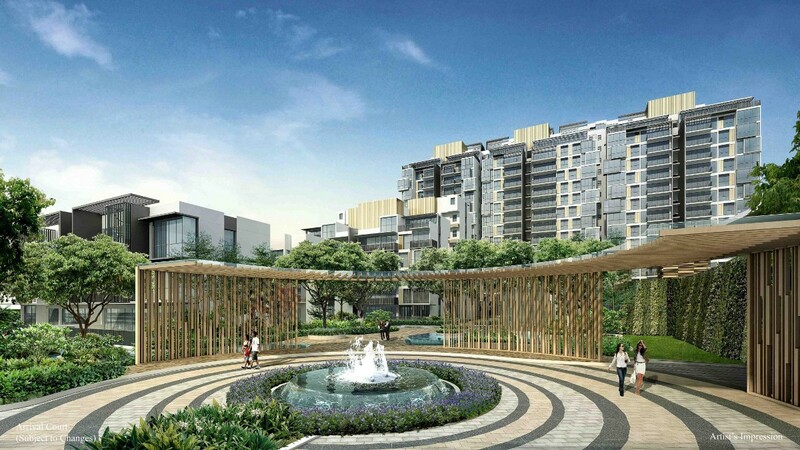 The Piermont Grand executive condo is located at Sumang Walk in Punggol. This is a coastal HDB estate with ambitious plans in the pipeline and a lot of resources thrown at it. 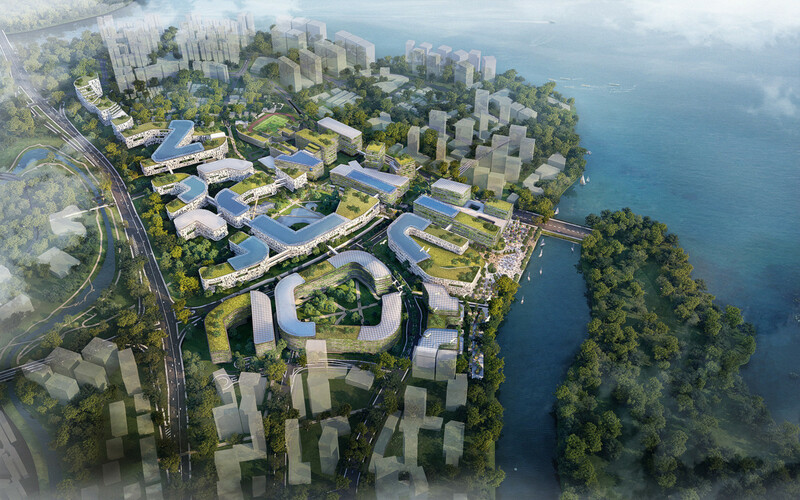 Starting from the Punggol Digital District, identified in the URA Master Plan to be one of the growth nodes of Singapore as a mini “Silicon Valley”. MRT / LRT Stations. 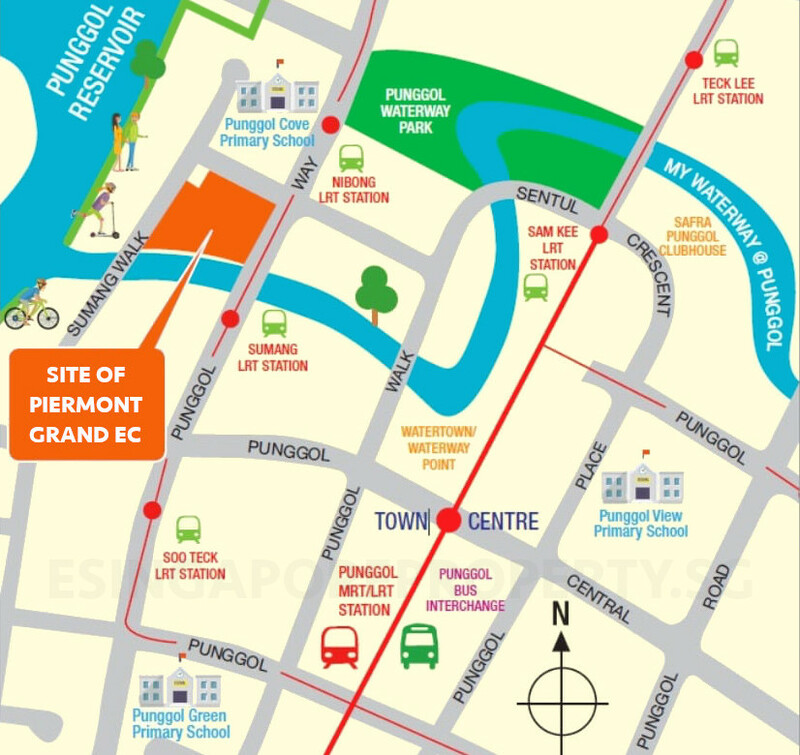 The Piermont Grand EC location is 800m, or 10 to 11 minutes walk, to Punggol MRT station and town centre. From there it is a 21 minute train ride to Doby Ghaut station in Orchard Road. Alternatively you have the option of walking a couple of minutes to either Sumang or Nibong station on the LRT line, depending on which part of the site your unit is at. The LRT line loops around in both directions, and is one or two stops respectively from Punggol MRT station. Shops, Banks, F&B, Supermarket. Waterway Point at the town centre has a full range of shopping options. Such as a Fairprice supermarket, banks, plenty of dining options ranging from a food court to cafes and fast food outlets, and small restaurants, and shops. On your way back from work, just grab a bite and some groceries perhaps, before making your leisurely way home along the waterway. 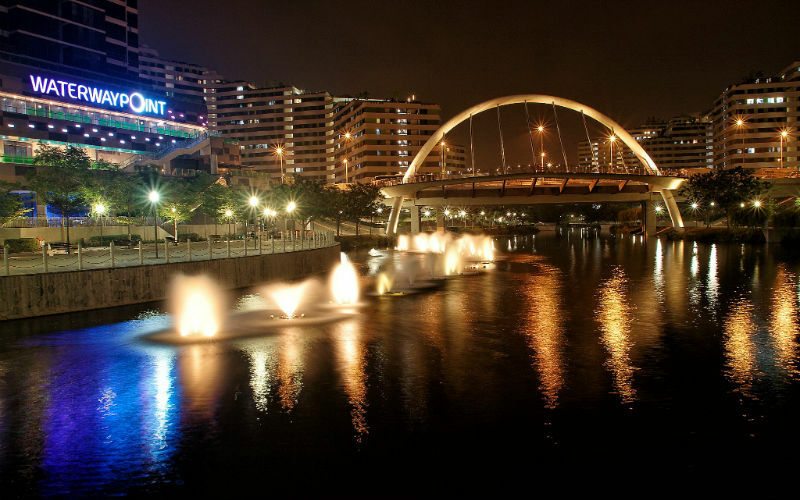 Aside from that, there are small shopping clusters around the neighbourhood, and alfresco riverside dining spots. 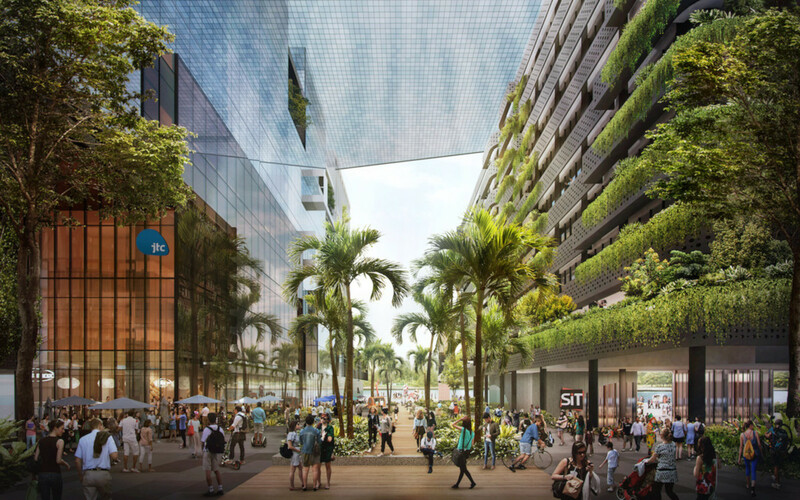 Even more is afoot, with development of the Punggol Digital District and plans for a Market Village. Outdoor Activities, Leisure & Sports Facilities. This is where the Piermont Grand location really shines. Its frontage onto the waterway, and the walking / cycling path beside it, leads to so many leisure options. 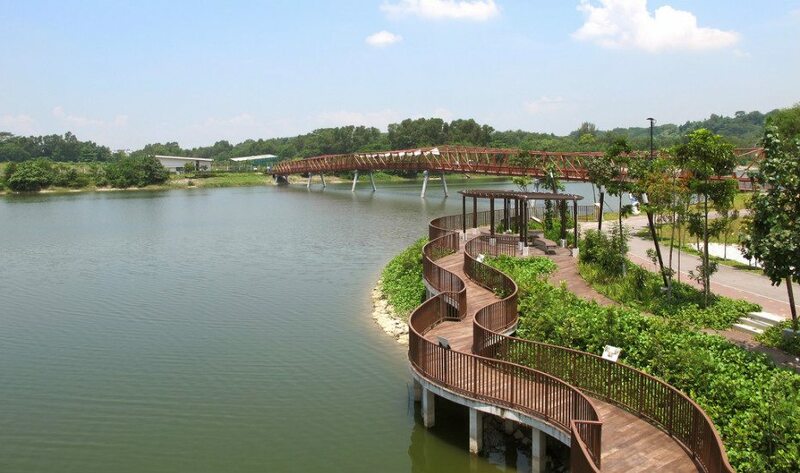 You can explore My Waterway @ Punggol eastwards, especially where it winds around the Punggol Riverside Park. 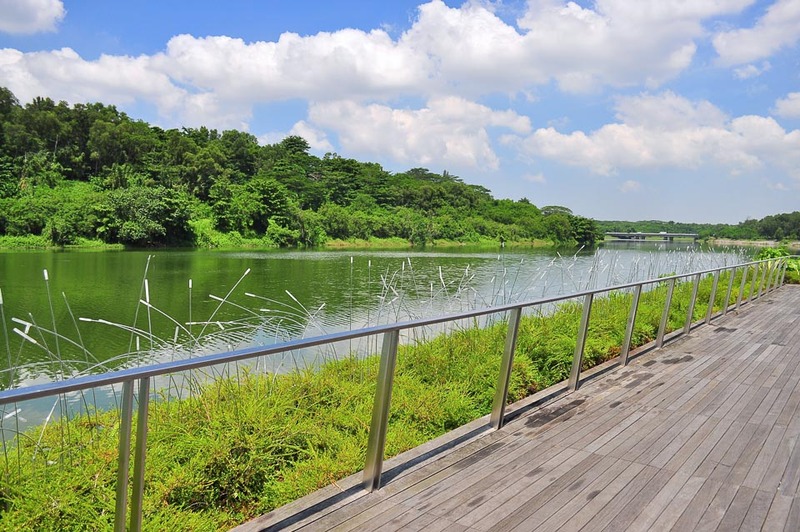 Or take a pleasant stroll along the path out to Punggol Reservoir, turning south to where it joins Sengkang Riverside Park, a constructed wetland with a rich biodiversity. Here you can find Sengkang Sports Complex as well, with its three pools and slides, and a stadium. Much effort has been made to preserve the native greenery, flora and fauna of old Punggol, that was once a farming community. Jog or cycle along the path northwards by the reservoir, around the coast, to the bridge to Coney Island that is one big park. Wholesome activities to be had for free. Medical Facilities. In case of emergency (hopefully not), it is a comfort to know that the new Sengkang General Hospital, one of the largest regional hospitals in Singapore, is something like 1.8 KM away, straight down Punggol Way. The medical and healthcare workforce there should also be a good source of tenants and buyers, if you wish to rent out or sell in future. Schools. Punggol Cove Primary School is immediately north of the site, across Sumang Link. Very handy for young children, and does away with the need to ferry them to school and back. Accessibility. The Piermont Grand location is not as inaccessible as it might appear at first glance. 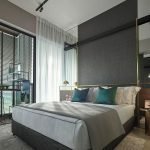 It is less than 5 minutes drive to Tampines Expressway (TPE), from where it takes about 20 minutes to get to Changi Airport, and 25 minutes to Raffles Place / Marina Bay via the Kallang Paya-Lebar Expressway (KPE). Better still, there is an alternate route out for this site. Around the corner northwards, is the Seletar North Link. It offers another way out to the TPE, and is a shortcut to Yishun and the north of Singapore.